AUBURN, ME. 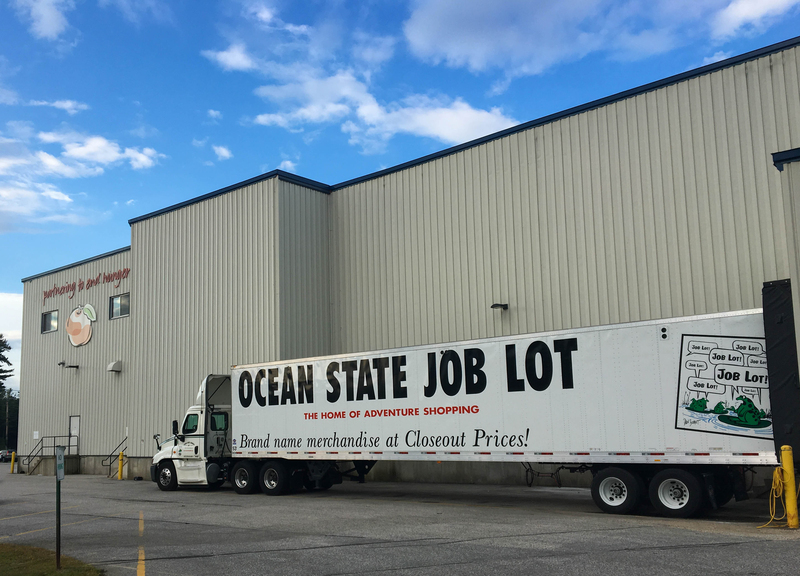 (September 14, 2017): Ocean State Job Lot, a discount retail chain headquartered in North Kingstown, R.I., made a donation to Good Shepherd Food Bank today as part of the 2017 Ocean State Job Lot Charitable Foundation “Three Square Meals” hunger relief program. A tractor-trailer full of approximately 35,000 lbs. of food arrived at the Food Bank’s Auburn headquarters this morning along with representatives from Ocean State Job Lot. Maine has five Job Lot stores in Oxford, Sanford, Rockland, Belfast, and Bangor. In addition to Good Shepherd Food Bank, donations were made to hunger relief programs throughout the Northeast. Three Square Meals is the single largest food donation program of its kind in the region. The program distributes more than 200 tractor trailer loads of food throughout the year to 19 food banks and pantries which, in turn, distribute to thousands of soup kitchens and meal sites across six New England states, and New York and New Jersey, including: Rhode Island Community Food Bank (Providence, RI), Connecticut Food Bank (Wallingford, CT), Foodshare (Bloomfield, CT), Gather (Portsmouth, NH), New Horizons For New Horizons, Inc., (Manchester, NH), Nashua Soup Kitchen and Shelter, Inc., (Nashua, NH), Society of St. Vincent DePaul (Exeter, NH), New Hampshire Food Bank (Manchester, NH), Food Bank of the Hudson Valley (Cornwall-on-Hudson, NY), Worcester County Food Bank (Shrewsbury, MA), Food Bank of Western Massachusetts (Hatfield, MA), Good Shepherd Food Bank (Auburn, ME), Vermont Food Bank (Barre, VT), Boston Medical Center Food Pantry (Boston, MA), Greater Boston Food Bank (Boston), Long Island Cares (Hauppauge, NY), NORWESCAP (Phillipsburg, NJ), Fulfill Monmouth & Ocean (Neptune City, NJ), Community Food Bank of New Jersey (Hillside, NJ), and the Regional Food Bank of Northeastern New York (Latham, NY). Today, the first delivery of food for this year’s program was made via convoy of 22+ tractor trailer trucks each loaded with approximately 35,000 pounds of nutritious, shelf-stable food, marking the initial installment of a total 8 million pounds of food delivered throughout 2017-18. This is the equivalent of 10.4 million meals. Funds for Three Square Meals are raised between November and December through a combination of in-store customer donations at the register, contributions from the business community, and matching funds from the Job Lot Charitable Foundation. Job Lot then leverages its wholesale buying power and retailing expertise to purchase food at significant value. 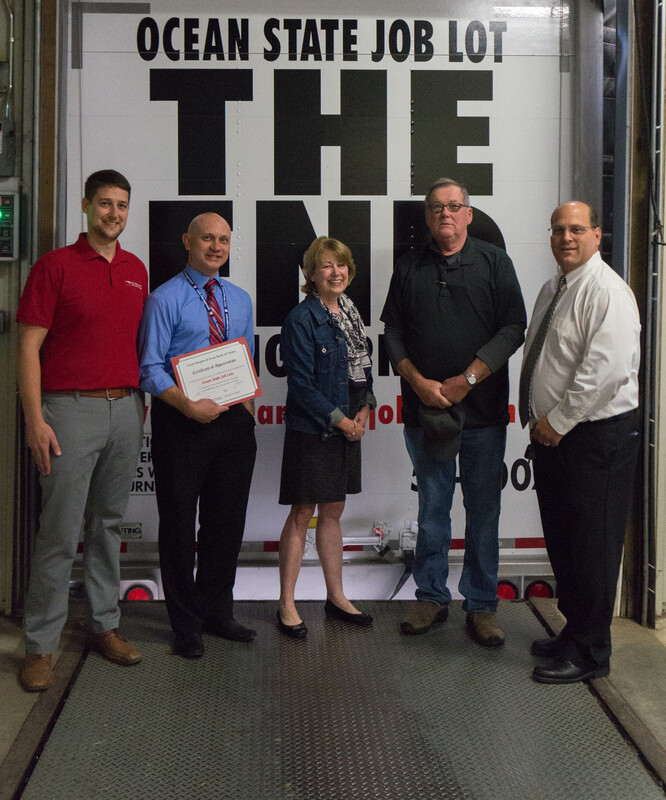 It also donates the cost of operational support, including delivery, insurance, warehousing, fuel, labor and other expenses to ensure that 100% of every dollar raised goes to the plate to help families and individuals in need. Food items to be distributed include pasta, cereal, canned vegetables and fruit, soup, canned tuna, dried beans, rice, and more. Now in its 14th year, the Three Square Meals program is supported by business and food partners, such as Kellogg’s, Bob’s Red Mill, Polar Beverages, Bank of America, Arbella Insurance, McLaughlin & Moran, Sodexo, Atlas Pallet and Boston’s Best Coffee Roasters. Media sponsors are ABC6, iHeart Radio, Latina 100.3 FM, and WBLQ AM 1230.